At surface level, moving in the winter seems like a horrible idea. It’s cold, snowy, and the weather can be incredibly unpredictable. Despite this, plenty of people choose to move in the winter months every single year. While some don’t have the luxury of waiting for the warmer months, others understand the benefits of moving in winter. 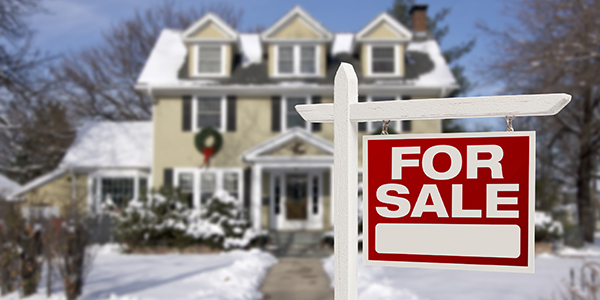 Winter is considered the slow season when it comes to real estate. This is great news for anyone looking to buy a house because low demand leads to a buyers’ market. 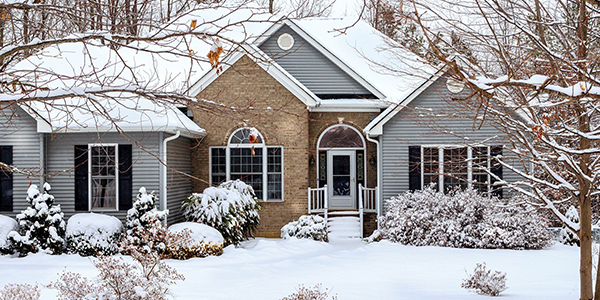 Since there aren’t as many people looking to buy homes in the winter, those selling homes are much more likely to lower their prices or negotiate a better price for the buyer. Plus, fewer buyers means less competition for you. It is more likely that you will be able to purchase the house you want, and you won’t have to go into a bidding war with other buyers over it. In addition to real estate, winter is the slow season for moving companies. Moving in winter means that you will likely have lower moving costs. Most moving companies will lower their prices due to a decrease in demand during these times. Their schedules will also be a little more flexible since this is their slow season. It may seem daunting but moving in winter can be easy. All you need to do is follow a few simple tips to make moving in winter a breeze. Don’t wait until the last minute to hire your moving company. Do your research and hire a reputable company. Look at their company policies. Do they cover the cost of any items damaged during the move? What are their policies during inclement weather? A trusted, professional mover will give you peace-of-mind that your items will arrive safely, even in the dead of winter. Moving during the winter can leave your items vulnerable. Wet or icy conditions can lead to water damage or broken belongings. For any precious or valuable items, rent a storage unit to keep them safe. Once you move, wait for a clear day and remove them from storage. Or, keep everything in storage until you are completely moved in. This way, nothing will end up lost or damaged. If you are able to, aim to move toward the end of winter. This gives you a better chance of moving on a warmer day and missing the big snowstorms that happen mid-winter. You will still receive the good prices on moving companies, but will potentially avoid bad weather. Moving in winter means that there may be snow and ice in the forecast. It’s important to have a backup plan in case there are bad conditions on the day of your move. Decide on a second moving date as a backup so that you are prepared for any situation. Leave enough time to move so that you aren’t forced to move out of your old home before you are able to move into the new one. Ensure that your moving company has availability on your backup day. Be prepared for any situation during your move by packing an emergency kit. Pack things like blankets, candles, and flashlights in case of a power outage. You should also include things like an extra pair of clothing, toiletries, and a first aid kit. Anything can happen while moving, especially during winter, so make sure you’re prepared. Before moving in, turn on all utilities in your new home. If you are able to visit before the actual move, turn the heat on a few days before you move in. You should also make sure to run water every so often to avoid frozen or burst pipes. If you live far away, see if the real estate company or previous homeowners are able to help you. Before you move, go over all logistics for the day. Figure out what route you will take and look into alternative routes in case of traffic or road closures. You should also go over logistics with your moving company. Ask them what their policy is for inclement weather. Some companies will not risk moving during poor conditions. Confirm moving times and locations with the moving company a week before your move. Leading up to the week of your move, keep an eye out for any snow storms or unideal weather conditions. This will allow time to prepare for whatever weather you will be experiencing during your move. Before leaving, double check to make sure there are no accidents or closures on your route. If the weather is bad, see if you can find out the conditions of the main roads you willing be taking. Leave yourself plenty of time on the day of the move to get packed up and headed to your new home. Rushing can lead to mistakes, items breaking or accidentally leaving them behind. If you are moving on a snowy or icy day, conditions on the road could be pretty dicey. Leaving yourself enough time means you can take your time and arrive safely at your destination. If there is any snow or ice on the ground on your moving day, take the time to clear a path for yourself and the movers. This will help avoid slips and falls that may lead to injuries or broken belongings. Plus, it helps speed up the process since you don’t have to watch your step as closely. Moving day means people will be tracking whatever is on the bottom of their shoes through your entire house. During the winter, water, snow, and salt will be the biggest threats to your floors. In both your old house and your new one, lay down sheets or tarps to protect your floors from damage. At the very least, put something down in the room everyone will be entering. This will trap most of the moisture and salt coming into your home during your winter move. Depending on how far you’ll be moving, some items will need to be protected from the cold. For example, wooden furniture or electronics could become damaged from extended exposure to the cold and should be wrapped. You should also think about things like house plants, which will need to travel with you in your car. Don’t pack up your salt and shovels just yet. Keep these items aside in case of snow or ice. On the day of your move, use them to clear any pathways you need to access the moving truck. Make sure to pack these items last so that you can quickly access them again at your new home if necessary. If the move is cold and miserable for you, it will be just as cold and miserable for your movers. Providing some hot beverages like coffee, tea, or hot chocolate will lift spirits and make the entire move more enjoyable. Plus, it’ll show the movers your appreciation and possibly lead to better service on their end. Be very cautious of bringing any wet items into your unit. If it is raining or snowing on the day you move into your unit, you will need to wipe off items before storing them. Otherwise, the moisture from the rain or snow will become trapped in your unit and mold may develop. It is best to revisit your unit a few days later when it is not raining to ensure that all moisture is gone from your items. 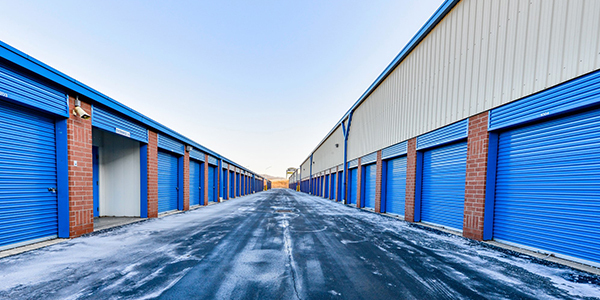 Climate controlled storage is very important, especially during the winter months. These units are kept at a consistent temperature and humidity level. This essentially keeps your items in an environment similar to your home. When you choose a non-climate controlled storage unit, the temperature will more similarly reflect that of your garage. The sealed doors will keep out moisture and pests, but your items will be exposed to the cold temperatures. If you are storing anything that could be affected by this, climate control is the best option for you. In any unit, it is recommended to keep items elevated slightly off of the floor. This keeps your items safe from moisture through the floor, as well as unexpected pests or water. To elevate your items, invest in a few pallets, which will lift everything a few inches off of the ground. If you are unable to get pallets, opt for plastic bins instead of cardboard boxes, as they keep out moisture and pests. 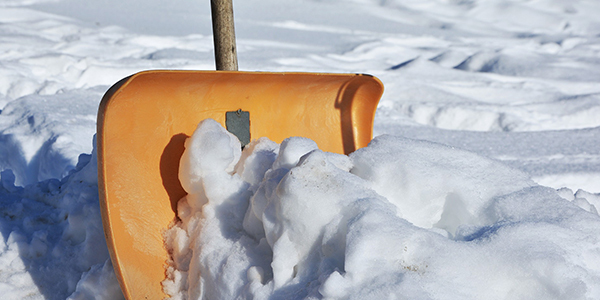 Before storing items like your lawnmower or snow blower, make sure to properly prepare them. Lawnmowers and any other equipment that runs on gas will need to be emptied out. Unused gas that is left over winter can become stale and lead to rust. To prevent accidents and injury, disconnect the spark plug so that your equipment doesn’t start up accidentally. Other steps like removing the blades and draining the oil should be taken to ensure your safety and the longevity of your equipment. Knowing how to properly store clothing is important to keep it safe from the elements. It is important to store clothing in plastic bins during your move, especially if your region experiences a lot of rain or snowfall. Standard cardboard boxes leave clothing vulnerable to moisture, rips, and bugs. Clothing should all be washed before storage. Otherwise, stains from perspiration and perfume could set in, and any food or beverage spilled on clothing could attract pests. To truly avoid pests, consider investing in cedar chips instead of mothballs. They perform the same function, but are more natural and don’t have a chemical smell to them. While it may require more planning, moving in winter presents some serious benefits. You’ll get a better price for your new place and face less competition. Plus, movers have more availability and will likely cost less than they do during the warmer months. It’s no wonder why people move during winter! By following these “moving in the winter tips,” you can save money and move without a hitch. For more tips on moving and storage, sign up for our monthly blog newsletter.